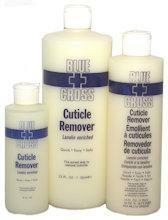 The surest way to remove cuticles, easy and safe. Quickly removes dead tissue and leaves cuticles soft and pliant. Marvelous for pedicures too. Lanolin enriched. 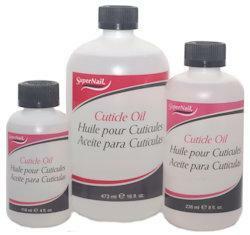 Apply around base of nails and gently work around cuticle. Rinse with warm water. Eliminates nipping and cutting. It does the work for you. Saves you time! Ideal for manicures, pedicures and artificial nails. Also removes "build up" under free edge of fingernails and toenails. Apply onto cuticle to be removed from nail plate. Wait approx. 45 seconds (a bit longer for excessive growth). Then, push back and remove cuticle. Rinse off. Also available ProLinc Cosmetics Be Natural Callus Eliminator! 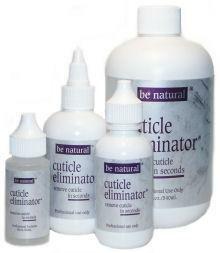 A unique fast-acting cuticle remover formula, works in just 45 seconds. Thick and viscous for no-drip application. Pleasing aroma. Also available Sani-Care De-Callus callus remover! Softens, moisturizes and stimulates the cuticle. 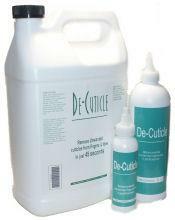 Aids in the removal of unwanted cuticles while conditioning and softening. Eliminates bacteria fungus and mold. 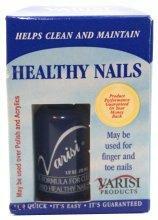 Prevents the penetration of fungi into the nail bed. Combats the reoccurrence of fungi in the nail and skin. Works over polish and acrylics. No oil, no odor, and no formaldehyde. The original equestrian formula used by horse trainers. Massage daily into nails and cuticles to nourish and moisturize. 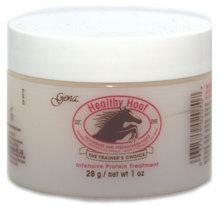 The "top coat" secret of horse trainers used on prize show and race horses. Hi-Gloss, fast drying, durable finish, and UV protector. Ideal for personal nail care. Apply onto natural nail or over nail polish.